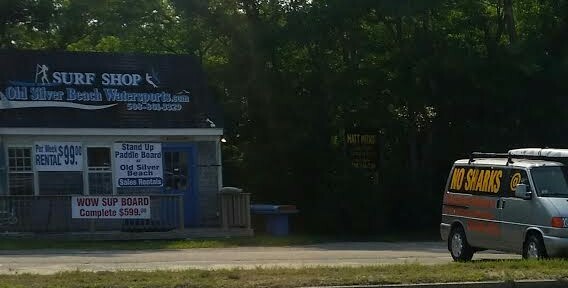 "Hmm, maybe I should rent a surfboard, that sounds fun. But you no what, I've heard a lot of stories about sharks nearby lately, so it's probably a bad idea. Oh wait, the van parked outside of the shop says 'no sharks'. Cool, I'm totally doing it."